True Aero Firefox – Make it transparent! It’s all pretty easy… Just edit your userChrome.css file found under %appdata%\Roaming\Mozilla\Firefox\Profiles\<your profile>\chrome to include the below. Of Course I have the All-in-One Side bar (which is awesome), and a few other add-ons which I will list later, but here you go, or download it HERE: Continue reading True Aero Firefox – Make it transparent! Posted on August 8, 2011 March 11, 2015 Categories Firefox, Information Technology, Tips, Tricks, & TweaksTags Aero, ff5, Firefox, Tips, Tips, Tricks, & Tweaks, Tricks, Windows 7Leave a comment on True Aero Firefox – Make it transparent! :: // prompt for elevation (Run as Administrator) on Windows Vista. :: // 1.0.0 01/02/2007 Created initial version.
' // prompt for elevation (Run as Administrator) on Windows Vista.
' // 1.0.0 01/02/2007 Created initial version.
' // 1.0.1 01/03/2007 Added detailed usage output.
' in through environment variables. objShell.ShellExecute strApplication, strArguments, "", "runas"
I dumped these two files in my C:\WINDOWS\SYSTEM32 directory, and renamed them to SUDO.CMD and SUDO.VBS. I no longer need the Start++ application for the sudo command! 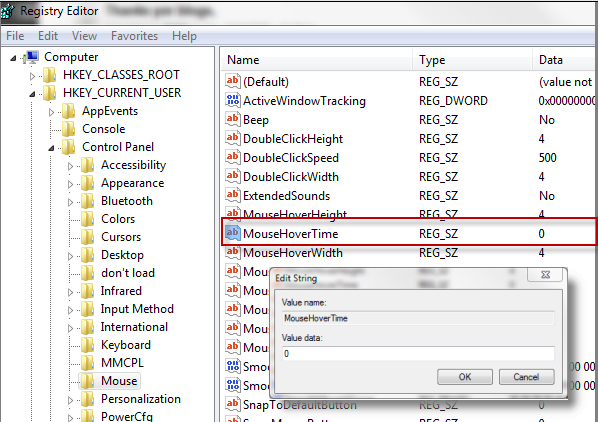 Change the MouseHoverTime REG_SZ value to 0 or anything less than 400 to speed it up. You’ll need to reboot for the new settings to take effect.